The first formally organized educational institution in Russia was established in 1685 by two Greek hieromonks, Ioannikios and Sophronios Leichoudes. Like many of their Greek contemporaries in the seventeenth century, the brothers acquired part of their schooling in colleges of post-Renaissance Italy under a precise copy of the Jesuit curriculum. When they created a school in Moscow, known as the Slavo-Greco-Latin Academy, they emulated the structural characteristics, pedagogical methods, and program of studies of Jesuit prototypes. 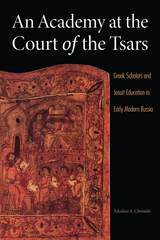 In this original work, Nikolaos A. Chrissidis analyzes the academy’s impact on Russian educational practice and situates it in the contexts of Russian-Greek cultural relations and increased contact between Russia and Western Europe in the seventeenth century. Chrissidis demonstrates that Greek academic and cultural influences on Russia in the second half of the seventeenth century were Western in character, though Orthodox in doctrinal terms. He also shows that Russian and Greek educational enterprises were part of the larger European pattern of Jesuit academic activities that impacted Roman Catholic and Eastern Orthodox educational establishments and curricular choices. An Academy at the Court of the Tsars is the first study of the Slavo-Greco-Latin Academy in English and the only one based on primary sources in Russian, Church Slavonic, Greek, and Latin. It will interest scholars and students of early modern Russian and Greek history, of early modern European intellectual history and the history of science, of Jesuit education, and of Eastern Orthodox history and culture. 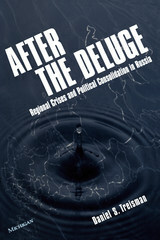 After the Deluge offers a new, provocative interpretation of Russia's struggle in the 1990s to construct a democratic system of government in the largest and most geographically divided country in the world. The Russian Federation that emerged from the Soviet Union faced dissolution as the leaders of Russia's constituent units in the early 1990s defied Moscow's authority, declared sovereign states on their territory, refused to remit taxes, and even adopted national constitutions, flags, and anthems. Yet, by mid-decade, a fragile equilibrium had emerged out of the apparently chaotic brinkmanship of central and regional officials. 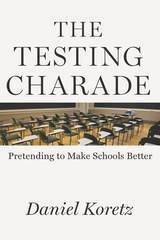 Based on extensive statistical analysis of previously unpublished data as well as interviews with numerous central and regional policymakers, After the Deluge suggests an original and counterintuitive interpretation of this experience. In most cases, confrontations between regions and Moscow constituted a functional kind of drama. Regional leaders signaled just how much they were willing to risk to secure particular benefits. With a policy of "selective fiscal appeasement," federal officials directed subsidies, tax breaks, and other benefits to the most protest-prone regions, which in turn engendered a shift in local public opinion. By buying off potential regional dissenters, Moscow halted what might have become an accelerating bandwagon. Besides offering insight into Russia's emerging politics, After the Deluge suggests a range of parallels to other cases of territorially divided states and empires--from contemporary China to Ottoman Turkey. 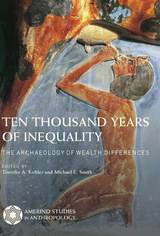 It should appeal to a broad audience of scholars in political science, economics, history, geography, and policy studies. 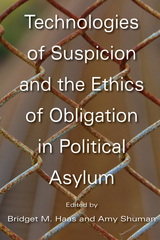 Daniel S. Treisman is Assistant Professor of Political Science, University of California, Los Angeles. Alexander I was a ruler with high aspirations for the people of Russia. Cosseted as a young grand duke by Catherine the Great, he ascended to the throne in 1801 after the brutal assassination of his father. In this magisterial biography, Marie-Pierre Rey illuminates the complex forces that shaped Alexander’s tumultuous reign and sheds brilliant new light on the handsome ruler known to his people as "the Sphinx." 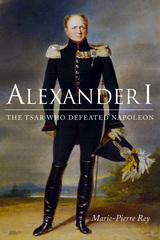 Despite an early and ambitious commitment to sweeping political reforms, Alexander saw his liberal aspirations overwhelmed by civil unrest in his own country and by costly confrontations with Napoleon, which culminated in the French invasion of Russia and the burning of Moscow in 1812. Eventually, Alexander turned back Napoleon’s forces and entered Paris a victor two years later, but by then he had already grown weary of military glory. As the years passed, the tsar who defeated Napoleon would become increasingly preoccupied with his own spiritual salvation, an obsession that led him to pursue a rapprochement between the Orthodox and Roman churches. When in exile, Napoleon once remarked of his Russian rival: “He could go far. If I die here, he will be my true heir in Europe.” It was not to be. Napoleon died on Saint Helena and Alexander succumbed to typhus four years later at the age of forty-eight. But in this richly nuanced portrait, Rey breathes new life into the tsar who stood at the center of the political chessboard of early nineteenth-century Europe, a key figure at the heart of diplomacy, war, and international intrigue during that region’s most tumultuous years. According to Marx, the family is the primal scene of the division of labor and the “germ” of every exploitative practice. In this insightful study, Jacob Emery examines the Soviet Union’s programmatic effort to institute a global siblinghood of the proletariat, revealing how alternative kinships motivate different economic relations and make possible other artistic forms. A time in which literary fiction was continuous with the social fictions that organize the social economy, the early Soviet period magnifies the interaction between the literary imagination and the reproduction of labor onto a historical scale. Narratives dating back to the ancient world feature scenes in which a child looks into a mirror and sees someone else reflected there, typically a parent. In such scenes, two definitions of the aesthetic coincide: art as a fantastic space that shows an alternate reality and art as a mirror that reflects the world as it is. In early Soviet literature, mirror scenes illuminate the intersection of imagination and economy, yielding new relations destined to replace biological kinship—relations based in food, language, or spirit. These metaphorical kinships have explanatory force far beyond their context, providing a vantage point onto, for example, the Gothic literature of the early United States and the science fiction discourses of the postwar period. 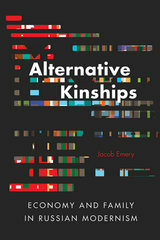 Alternative Kinships will appeal to scholars of Russian literature, comparative literature, and literary theory, as well as those interested in reconciling formalist and materialist approaches to culture. Sonja Luehrmann’s volume examines Alutiiq history within the larger context of Russian and American expansionism. 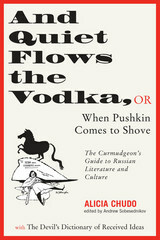 The author uses source material in both English and Russian in order to create a work focused on the intersection of the two colonial perspectives—throwing light on our understanding of the differences in the way each society incorporated the Alutiiq community, both as a labor force and a social entity. In a series of map essays, Luehrmann examines the changing patterns of settlement and demography among the Alutiiq as the population responded to the conditions they encountered: economic exploitation, new cultural influences, intermarriage, disease, and the eruption of Novarupta. The addition of Russian source material fills an important blank in this unique history and makes Alutiiq Villages Under Russian and U.S. Rule a major resource for anyone working on Alutiiq history or the region’s history in the Russian colonial period. Russia has fascinated outsiders for centuries, and according to Alicia Chudo, it is high time this borscht stopped. In this hilarious send up of Russian literature and history, Chudo takes no prisoners as she examines Russia's great tradition of unreadable geniuses, revolutionaries who can't hit the broad side of a tsar, and Soviets who like their vodka but love their tractors. Written in the tradition of 1066 and All That, The Pooh Perplex, and The Classics Redefined, And Quiet Flows the Vodka will, with any luck, be the final word on the ghastly first two millennia of Russian literature, history, and culture. 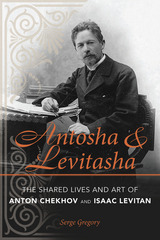 Antosha and Levitasha is the first book in English devoted to the complex relationship between Anton Chekhov and Isaac Levitan, one of Russia’s greatest landscape painters. Outside of Russia, a general lack of familiarity with Levitan’s life and art has undermined an appreciation of the cultural significance of his friendship with Chekhov. 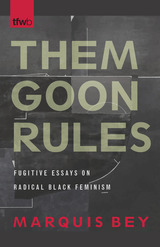 Serge Gregory’s highly readable study attempts to fill that gap for Western readers by examining a friendship that may have vacillated between periods of affection and animosity, but always reflected an unwavering shared aesthetic. In Russia, where entire rooms of galleries in Moscow and St. Petersburg are devoted to Levitan’s paintings, the lives of the famous writer and the equally famous artist have long been tied together. To those familiar with the work of both men, it is evident that Levitan’s “landscapes of mood” have much in common with the way that Chekhov’s characters perceive nature as a reflection of their emotional state. Gregory focuses on three overarching themes: the artists’ similar approach to depicting landscape; their romantic and social rivalries within their circle of friends, which included many of Moscow’s leading cultural figures; and the influence of Levitan’s personal life on Chekhov’s stories and plays. He emphasizes the facts of Levitan’s life and his place in late nineteenth-century Russian art, particularly with respect to his dual loyalties to the competing Itinerant and World of Art movements. Accessible and engaging, Antosha and Levitasha will appeal to scholars and general readers interested in art history, late nineteenth-century Russian culture, and biographies. Galina Rylkova examines the Silver Age as a cultural construct-the byproduct of an anxiety that permeated society in reaction to the social, political, and cultural upheavals brought on by the Bolshevik Revolution, the fall of the Romanovs, the Civil War, and Stalin's Great Terror. Rylkova's astute analysis of writings by Anna Akhmatova, Vladimir Nabokov, Boris Pasternak and Victor Erofeev reveals how the construct of the Silver Age was perpetuated and ingrained. Rylkova explores not only the Silver Age's importance to Russia's cultural identity but also the sustainability of this phenomenon. In so doing, she positions the Silver Age as an essential element to Russian cultural survival.